One of the striking things about this movie, to me at least, was that it isn't dependent on the actors. 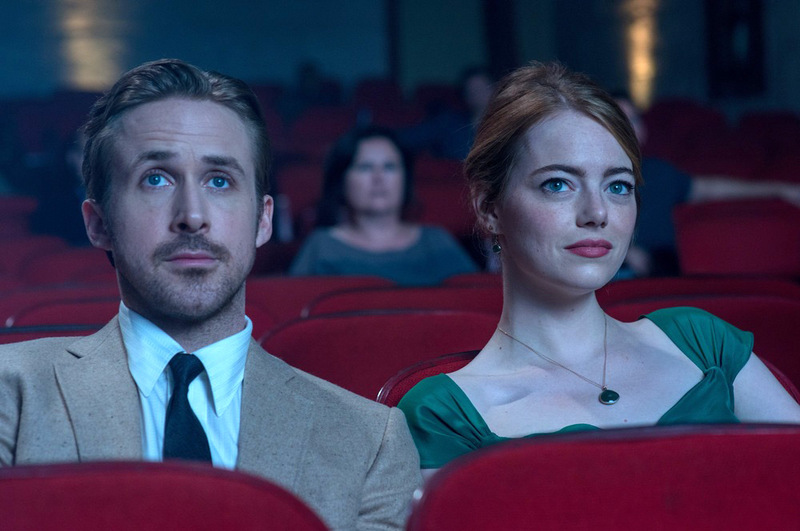 Emma Stone and Ryan Gosling were phenomenal in the film, but there were so many other incredible aspects that make this movie so great, that they all balance out and contribute equally to the success of the film. Emma, Ryan, the camera motion, the words, the music, the sets, the costumes, everything was just so seamless that it was incredibly and beautifully cohesive and amazing to watch. I have to give a special appreciation to the music in this movie. I grew up listening to jazz around my house, and I have always enjoyed it, and it was so nice to have it shared the way it is in this movie. In one of my favorite scenes, Ryan is describing how jazz is always new and chaotic and you can never tell where it's going, and I just related to the passion in that scene so much, because I am that person. When I think of jazz, I don't think of the elevator music, I think of the artfully individualistic and collaborative effort that makes jazz jazz, and it was thrilling for me to have it represented in that way. And the scoring of the movie itself represents this too, because there were several times when I thought a chord was going to resolve one way, or a piece was going to close with the usual patterns, and they didn't. It was so refreshing and exciting to sit through and listen. La La Land exceeded all of my expectations. It was at the same time a contemporary story, yet had such an old fashioned Hollywood feel to it, making it (probably and hopefully) an all-time classic. I am definitely going to be buying this when it comes out on DVD; I'm actually going to be seeing it in theatres again later this week; and I really hope everyone gets a chance to see it at some point.